Especially when you just got that pretty weave installed. It is okay to itch now and then(being like 5hrs later) but when you literally can't live a minute without it, it's a concern. Do you resort to scratching, tapping or both? It's not an attractive gesture at all even my mom says "it's not healthy, that is an organ you are hitting and might trigger a rather serious effect later". Yeah, she's always too vivid and graphic😔. Ordinary scratch and a 'little' tap. I think naturalistas should stick around, I feel it's worse for us because of one habit we take pleasure in prior to an installation. Itchy scalp don't occur suddenly after you have a sew-in. There are chains of event that triggers this fiery feeling. It occurs mostly from the 3rd day after you've got your hair done. One of the most common diagnosis for itchy scalp is Dandruff. According to Christian Nordquist : "Dandruff is a condition of the scalp that causes flakes of the skin to appear. It is a common condition marked by itching and flaking". But, Dandruff is just one end diagnosis for itchy scalp. Damp hair : Hey naturalistas, hope you are still reading? Your hair was damp while being braided, right? In a bid to keep my hair soft, I braid my hair damp and I know some of y'all do it too. Oh i know the pain you feel when your hair is being parted. It is okay if you do this but it's not okay if don't dry thoroughly with a hairdryer before you have your weave sewn in. Don't just assume it would dry eventually,it would but quite slow. The hair tucked in and under your tracks would take quite a while to dry being that you've covered it with your weave. And nothing loves damp scalp like fungi. You've created a damp environment to brood fungi. Same applies to sweating. If you engage in workout activities be sure to dry your hair with a hairdryer. You rarely treat your hair : if you don't have a scalp prone to dryness or Dandruff then shampooing religiously would save you the hassle. They say you should wash your hair every other day. But as African women, we love to get our hair done in braids or weaves. So the numbers don't work for us. I'd say wash your hair anytime you get your braids or weaves out. 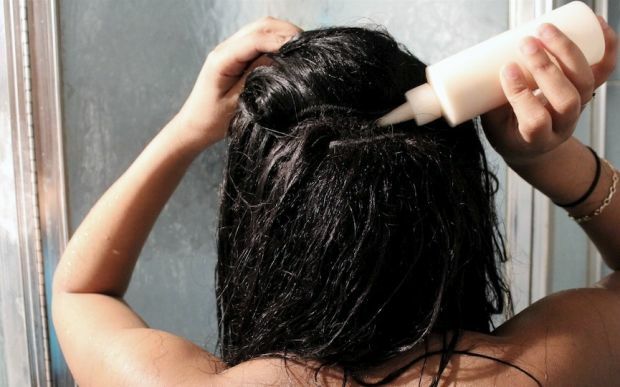 And for a Dandruff prone scalp, throw in a medicated shampoo into the mix from time to time. Have a realistic treatment schedule that you can follow through. 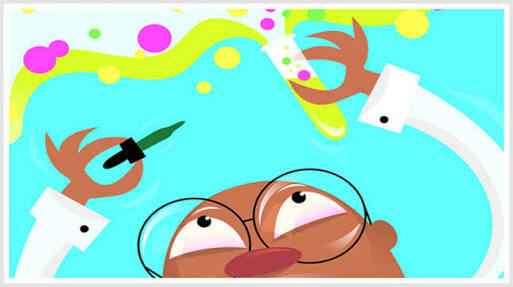 Piling on hair products : There is thin line between moisture and oversaturation. It only does more harm than good. Leave-in, curl pudding, shea butter, castor oil and gbo gbo eh (among others) all in one hair after you just shampoo makes a mess of your hair. Except you are going to wash them off, stick to less products prior to having your weave installed. Your braids are too tight : This is the root source of this evil. I used to feel my braids with my fingers to make sure they were tight, because I believed it did make my face pop. My edges would be sore, my nape..... the hell.That contraction causes inflammation and redness of the scalp. As if that's not enough the sew in is tight. You know when the hairdresser is about to slay that side part and they go round endlessly about a spot just to make that spot literally disappear. You might be happy with how dope your stylist 'fleeked' that hair-do but the consequences outweighs the beauty later. Now that we've looked at things that could often amount to itchy scalp, let's profer solutions incase we find ourselves in the itchy business...lol! Use an astringent : Tea tree oil is an excellent essential oil with astringent properties. When applied topically it can relieve itching. A mix of tea tree oil with small parts coconut oil in a bottle with a nozzle cap applied to the scalp would alleviate the itching. I like to use my facial cleanser, I don't use on my face nomore so I've put my money to good use and works well for me. It's not approved by the 'hair gods' but I use it and it works anyway. 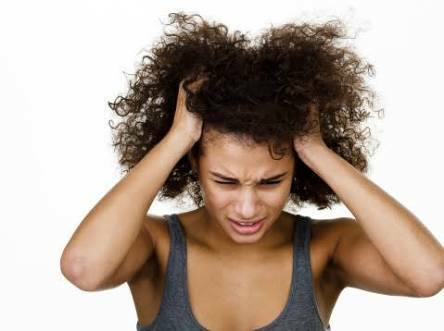 Give your scalp room to breathe : if you happen to be in a raging itch battle, take your hair bonnet/net off. 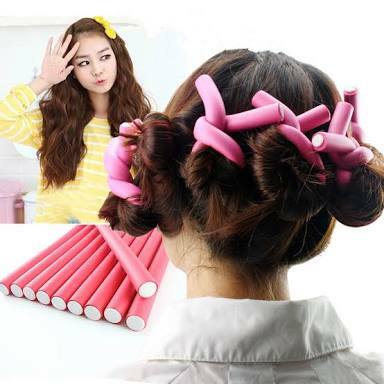 If I have a long weave on, I like to use about 5 of my flexi rods and 5 parts rolled up without covering with a net. This way I expose my scalp a bit allowing air to get through to my scalp. You could adopt this method too if you have flexi rods at your disposal. Know when to quit : When it's time to let it go, every nerve in you would tell you. This is like your last lifeline... lol! Let it go...let it go, girl. Life is beautiful, let's live to enjoy it. 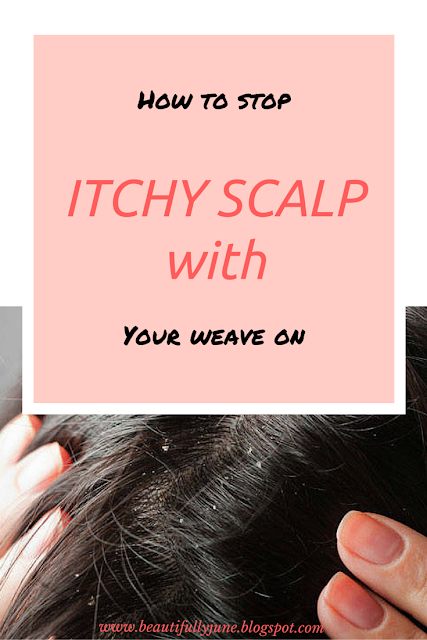 Do you have your ways of relieving itchy scalp? Tell us. Or have you tried any of the solutions mentioned? Please share with us in the comment section if they worked for you or didn't. And please run... I scattered share buttons left and right, please use it to get this post to your friends around. Thank you. You're back! I don't really have the itchy problem but when I do, I bang not tap lool. Why did you stop using cleanser on your face? Thanks Ola☺...yes lol! Bang on a whole new level😂😂. Just give these a try and bang nomore. Well my cleanser never really worked for me and I'm more into the natural methods of doing a few things now though. I was battling serious dandruff problems about a year ago, but when I started taking good care of my hair, treating it and all, it has seriously reduced, especially the itching. Thank you for reading, Melody. When my hair is in braids my scalp Is happy but weaves makes it itch... I try to oil my scalp with Shea butter before fixing the extension. I'm glad I don't suffer from dandruff or itchy scalp as the case may be. Going for a ;long time without washing my hair doesn't even make it itch. However, when I braid my hair and it's done too tightly, I tend to get small and extremely painful sores around that area. You're right about braiding hair when wet, that's what I did and I just moisturized my hair because it was itching me.